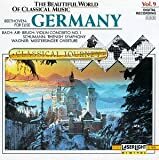 Looking for something German, besides Oom Pah music? Here, you will find links to other forms of German Music. You can also buy German Music here, click on the links below.